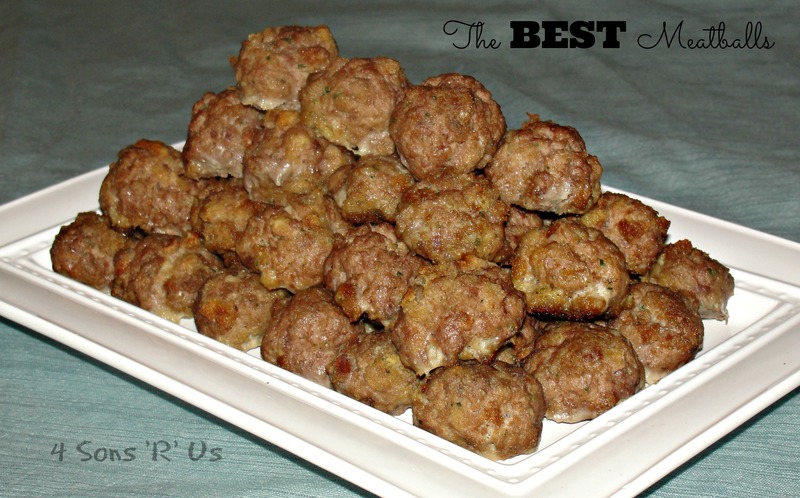 I love meatballs and all for simplifying the process. Sounds great. I love that you can freeze them too! Hello Car­rie! I’ve nom­i­nated you for a Lieb­ster Award. It’s an award that blog­gers pass on to each other so we can get to know each other and so our read­ers can get to know us a lit­tle bet­ter too! You can check it out on my blog. I love meatballs,but I never thought about adding chicken flavored stuffing! What a great idea! Sorry Meaghan! I hit reply and realized the name was wrong and it wouldn’t let me take it back! Thank you so much, Kat!! I love meatballs. This recipe sounds delish! Everyone loves a good meatball recipe – and this one sounds so easy too. Thanks for sharing it with us at Fiesta Friday. That is a beautiful picture of your boys – what a busy fun life you must have, and four boys to cook for! Lucky you. Thanks! Sometimes I’ve just got to simplify. And, this was one of those times. I don’t always have a day to devote to the kitchen, even if it is spent making freezable meals.